DOPPLER is a French brand that has survived time without any wrinkles! Always ahead of the technology and design of its products. Founded in the late 80's, is a brand that DOPPLER as TUN 'R, TEKNIX and other trademarks belong to Nantes CGN group. 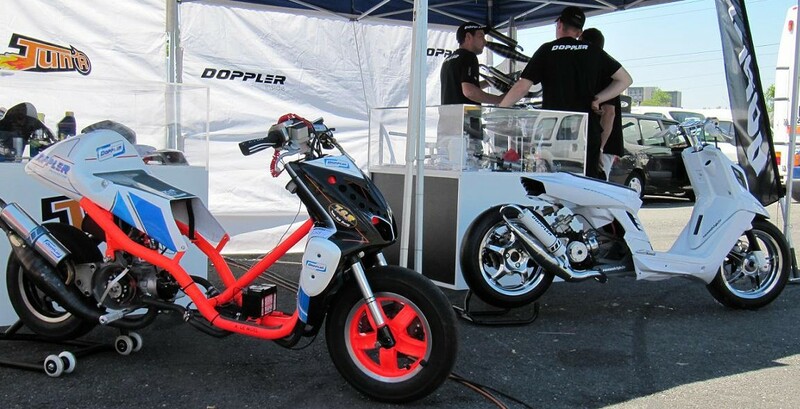 Innovation, quality, design and simplicity are the hallmarks of DOPPLER certainly include some very complex material or racing (no 70cc, no long runs or other ...) but what fun for moped riders wishing to use his 2 wheels every day! An ultra complete product range in price, design and nice performances in addition to being approved! 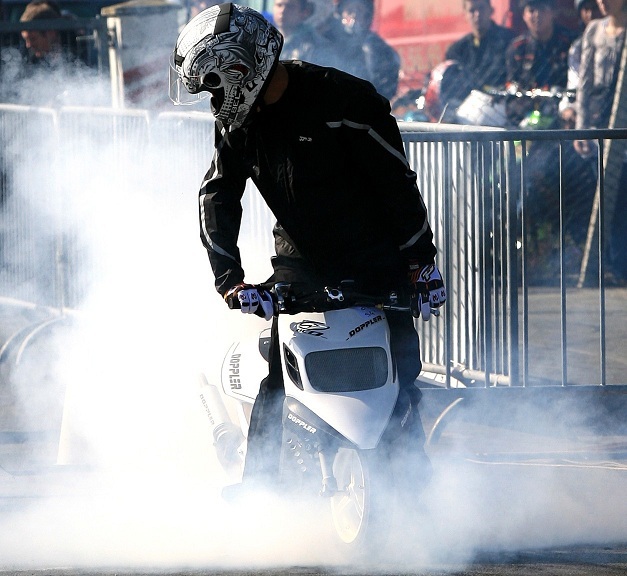 The exhausts are superb, low-noise and high performance on a small even thrust configuration, we find carbonisation kits range crankshaft of ORIGIN, ER1 or ultra strong ENDURANCE with affordable, bearings or even packs from complete gearboxes championships machines! 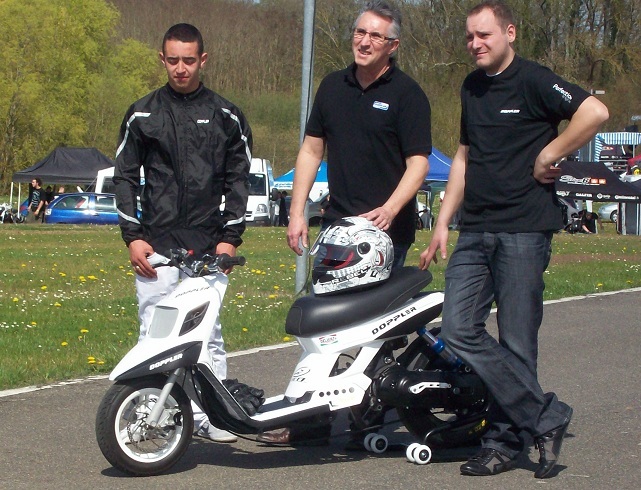 DOPPLER level design also knows how to get noticed, the exhausts are beautiful, the sublime air boxes related to competition, but there is also the gallows, kick, head of fork, coatings ... Clearly a superb catalog. And this is one of the few brands do not forget the old French, the Peugeot 103 and MBK 51! Drives, crankshafts, cylinder heads, carbonisation group, exhausts and so on are still available in the catalog.